Bioprime is a unique soil priming agent that works by changing soil microbiology. Bioprime is composed of a huge range of signalling molecules. When applied to soil, even in very small amounts, Bioprime changes diversity within a wide range of important soil microbial groups, promoting the development and diversity of beneficial microbes. The outcome of these changes is a stronger plant, better root growth, and ultimately a more efficient system. Greater growth efficiency equals better profits. The raw materials used to make Bioprime are natural products which are manufactured using a patented process. Bioprime is non-toxic and completely biodegradable. Bioprime contains a wide range of components, including diverse soil signalling molecules. Some components, “quorum quenchers”, act to suppress harmful bacterial consortia. Some components act as soil priming agents and “quorum sensors”, stimulating microbial groups known to be beneficial to plant roots. Some components are identical to the organic acids and phenolics that plant roots secrete to attract beneficial microbes. Other components are precursors to plant steroids. Improved soil health for a more productive system with increased yields. Bioprime was originally developed over 15 years ago for the control of serious root diseases in horticultural crops. With the use of DNA techniques to gain a new understanding of how Bioprime works, and further research into optimising the fermentation process used in manufacture, the original product has been improved, with much more concentrated active ingredients. The standard Bioprime is optimised for monocot species including wheat, barley and oats, but at higher application rates, remains effective against root pathogens in horticulture, and to promote enhance symbiotic root colonisation by indigenous microflora in native species. Because of its potent action in quorum quenching of anaerobic proteobacteria, it is also used in industrial odour control in wastewater treatment plants, in cleaning products, and in septic tank reactivation. Bioprime Trace is a new and innovative way of supplying fully chelated trace elements to your crop. It exploits the fact that Bioprime is rich in organic acids, and these are ideal chelators, meaning they stop the non-specific binding of trace elements to soil which makes them unavailable to plants. The innovation is the trace elements are supplied directly to the beneficial bugs stimulated by Bioprime. The soil bacteria then gradually release the trace element to roots the way nature intended. The combination of using a chelated form, and then slow release by root associated bacteria provides growers with maximum use efficiency. Bioprime Trace is highly concentrated with 11.5% actives. Just 2 liters per hectare provides all the trace elements you need. The optimal use for cereal production is applied through a liquid rig to the seed bed at sowing (diluted in a suitable volume of water to get even application). However post- emergence application with a boom spray is also effective. Special formula for non-grass crops. Bioprime Dicot is specifically formulated for the non-grass crops to obtain all the root enhancing and disease prevention benefits of Bioprime. 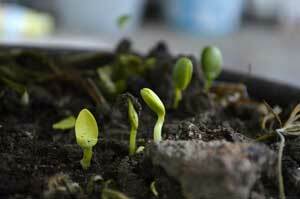 Dicots are the non-grass crops plants in the rotation, including canola, lupins, peas and clovers. 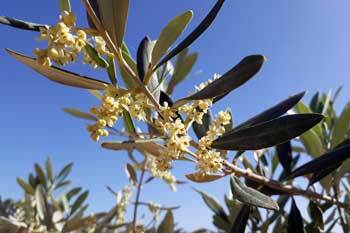 Unlike the cereals, these plants do not form mycorrhyzal associations with soil fungi. Instead, they form active symbioses with a different spectrum of soil microflora. The chemical signalling language which coordinate these associations are different. Bioprime Dicot is made under different fermentation conditions which maximise the production of aromatic rather than aliphatic signalling components. Bioprime Dicot is used exactly the same as Bioprime. 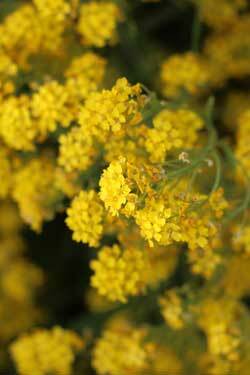 It is applied at sowing into the seedbed, or as a foliar spray after seedlings have emerged. In light soils with low organic matter and soil biology, application rates are 2-3 L/ha. In heavier soils, more is needed to take control of the biology, and rates up to 6 L/ha are applied. Bioprime Seed Treatment is a new technology which exploits discoveries reported in the USA in early 2014. 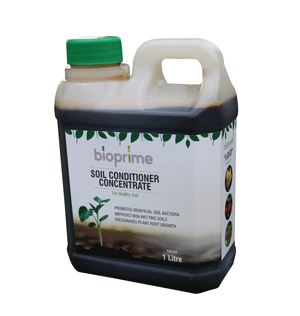 It contains all the trace elements found in Bioprime Trace, but also includes oxalic acid to specifically select for root beneficial bacteria in your soil, and potassium to stimulate primary root growth as seeds germinate. The result is rapid and uniform germination and emergence of cereal crops, giving them an edge over weeds. The product is highly concentrated. Just 2 liters per tonne is all than is needed to treat your seed. It is best applied into the auger as you transfer seed out to your field for sowing. You can dilute it with water if you want to assure uniform seed coverage, or mix it with rhodamine dyes if you need further assurance. Note the product is near saturated, Over time you will see a settling at the bottom of the container. This is normal. Inverting the drum a few times immediately before use will result in a rapid remixing of this active ingredient layer. Bacteria causing biofilm formation and screen blockage can be identified to type by Bioscience DNA technology. Appropriate custom made biocides, disinfectants or quorum quenchers can then be formulated for low toxicity, cost effective remediation. A formulation of organic acids and chelating agents is formulated for rapid dissolution of iron fouling of pumps, pipes and irrigation equipment, and removal of iron stains from hard surfaces. Let us know what you’re after.